Jennifer's 365 Project: 792/365 - Feeling Ill? Dinah seemed a little down when we came home from work yesterday. 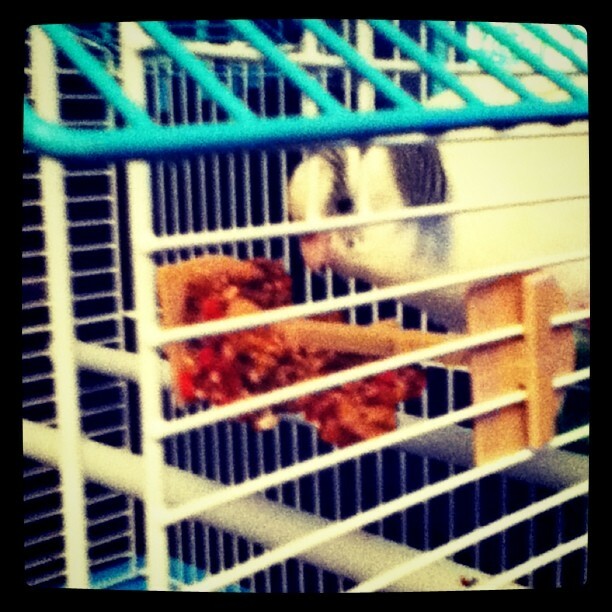 She was on the floor of the cage hanging out, which is odd for a parakeet. She did perk up and start singing and eating pellets and seeds when we moved her into the room to hang out with us though.